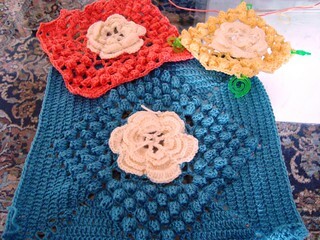 Posted in Afghan Blanket, crochet, white rose blanket, WIP's	by Giulia P.
This morning, while sorting out one of the last boxes, what did I find?? 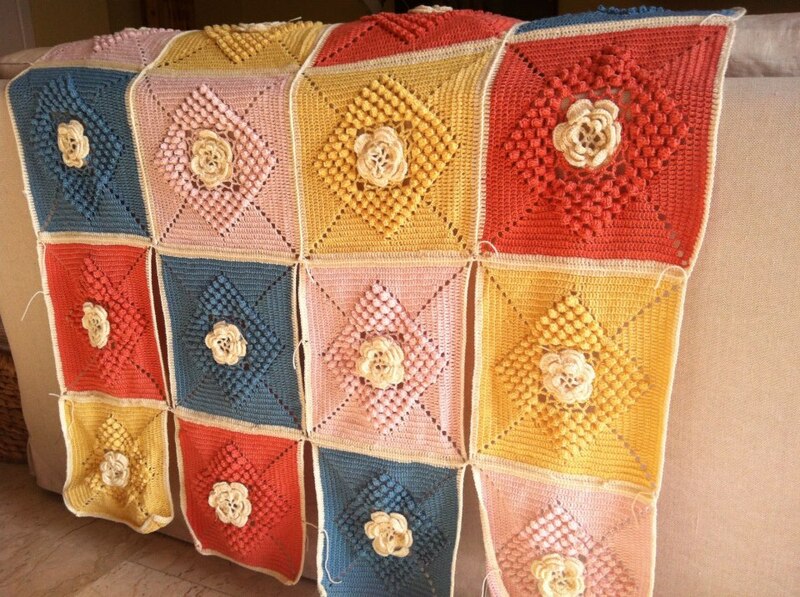 The blanket is already pretty big and it could eventually be left the way it is, but I have enough yarn for just as many squares, so what to do?? Using a bigger hook is out of the question, cause I think that the change would be too visible and crocheting more losely is not quite an option cause it doesn’t feel comfortable and looks wonky… aaaaargh! Here is a good serie of reasons why you should complete projects instead of having them sitting there forever, I guess! I think this is a powerfull blog with a lot interesting topics about this stuff. And i just wanna thank you for this. I’ll follow your website to see if you post more stuff like these!